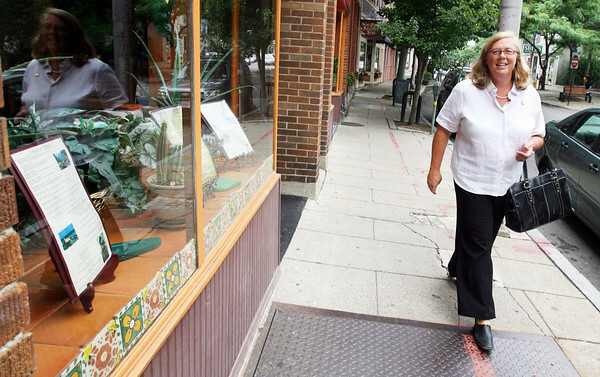 Mayor Carolyn Kirk walks down Main Street in Gloucester. She talks about the economic impact of having the Run Gloucester race. Kate Glass/Staff photo.